Tellon are delighted to announce that planning permission has been secured for redevelopment of 11-13 Thames Street, Kingston. 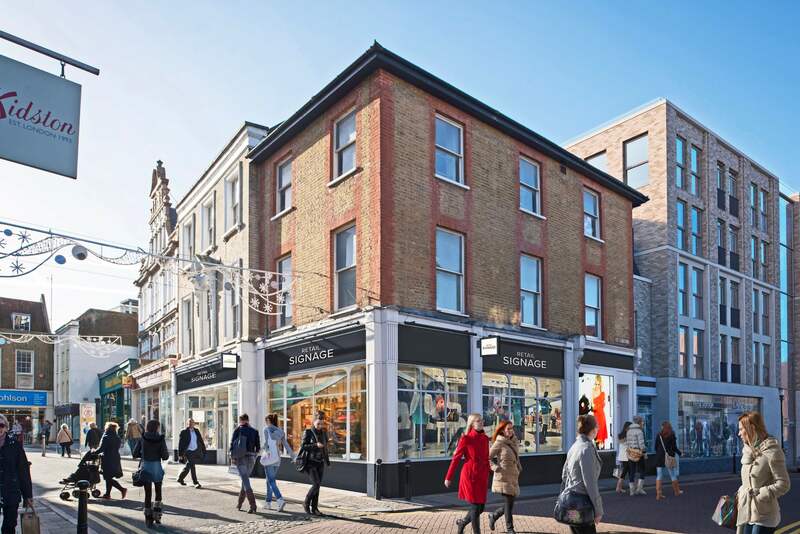 The scheme will create a new retail unit at ground level with 26 apartments located above. The attractive Listed façade to Thames Street will be retained and incorporated into the scheme with a modern development to rear. The proposal will really enliven this part of the town centre and the connection between Thames Street and the river, breathing life back into Bishops Hall and providing quality accommodation and a modern retail unit with dedicated servicing in this central location.